With over three months left for the release of Avengers: Endgame, the internet has been set on fire with all sorts of fan theories about the upcoming film. With most theories suggesting time travel or dimension hopping, one theory claims that the heroes already began to time travel in Infinity War. Shared by user /u/dat____dan713, this theory states that those on Titan have been stuck in a time loop ever since Doctor Strange began to view the 14 million potential futures. The main evidence of a time loop, as the user says, is that measurements Star Lord takes after Avengers and Guardians exit Ebony Maw’s Q-ship. Star Lord then says that Titan is eight degrees off its axis and the gravitational pull is “all out of whack”. The theory states that the readings are bizzare because of the later fight in which Thanos decimates a moon and throws it towards the surface of Titan in order to deter the heroes fight against him. 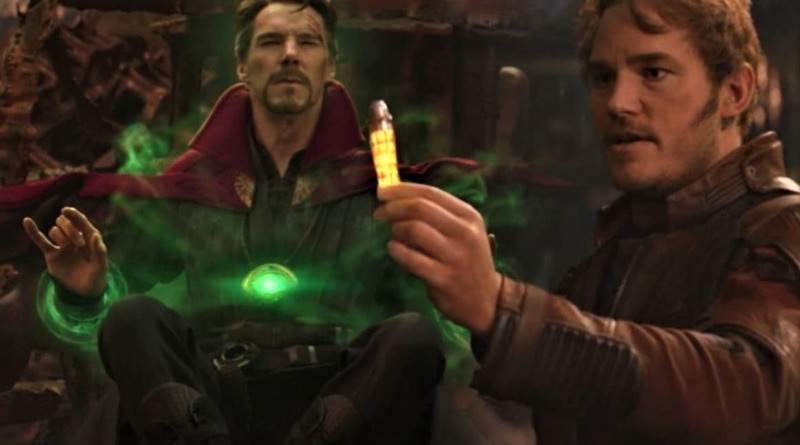 Because Strange uses the time loop before Quill begins its readings, user suggests that’s Strange put the group into a time loop that already exhibits the effects of Thanos’ moon-throwing escapades. Although we don’t know how life on Titan ended, but it’s not all too believable that the planet had enough weapons to cause such effects. Causing a nearby moon to crash it’s surface, however, would provide enough damage to knock the planet off track; not to forget the gravitational ramifications losing a moon could have. If Strange did place the heroes into a time loop, it wouldn’t be the first time the magic-user used the method to bring down a villain. After all, Strange spent an eternity with Dormammu before the Dark Dimension being left Strange alone.